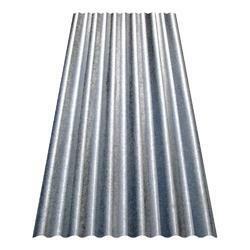 Leading Manufacturer of decking sheets and ms roofing sheet from Hyderabad. We have established ourselves as a renowned manufacturer, supplier and trader of Decking Sheets. Offered sheets are bonded to the concrete by means of moldings on the decking sheet, which stop the concrete from slipping horizontally and detaching vertically. All these sheets are available in different sizes and finishes as per the requirements of customers. Looking for Decking Sheets ?